Aside from financial freedom, we hope for freedom from any sickness. Since most of the sicknesses now are called lifestyle diseases, we must evaluate what kind of lifestyle do we have? Do we indulge ourselves in activities that makes us healthier or with things that deteriorate our bodies? What we eat is one of the greatest factors. Can you remember those sleepless nights with instant food as your buddy? People now are much busier than ever before. Children rush to school. Adults rush to work. There’s no enough time to prepare healthy dishes. So what is the result? We content ourselves with instant food, leaving our health at stake. When we were young, we put our health at stake to earn a lot of money. However, at old age, we bet every penny that we have and search for the best doctors just to regain the health, the vitality that we have lost in those years of working hard. More often than not, people lose that battle: no health, no money. That’s a loss – loss situation. How can we prevent that from happening to us? 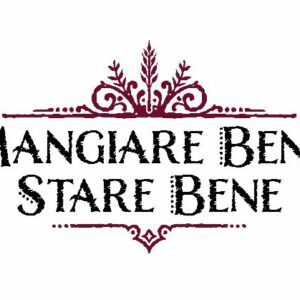 As young as we are, let’s learn to live for a simple Italian principle: “Mangiare Bene, Stare Bene”. That means “Eat well, be well”. Italians are known to have a good appetite for food yet they have lesser number of people who suffer from lifestyle diseases. Learn and apply the Italian lifestyle. 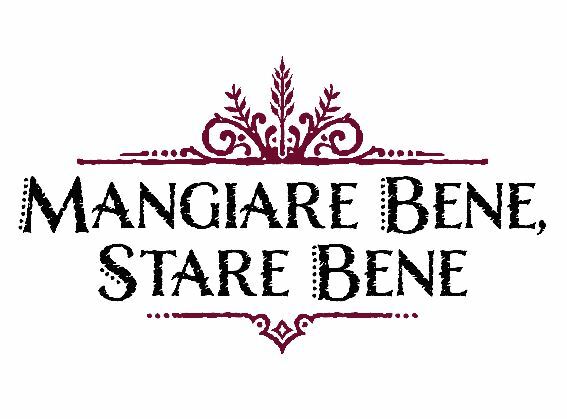 So DecorativeLettering gives you this wall decal, “Mangiare Bene, Stare Bene” that you can post into your dining room. This wall quote is available in three designs, whichever suits your style. Give a toast to good food and a good life!